I am interested in participating in the 2019 FAHA Princess Queen contestant. 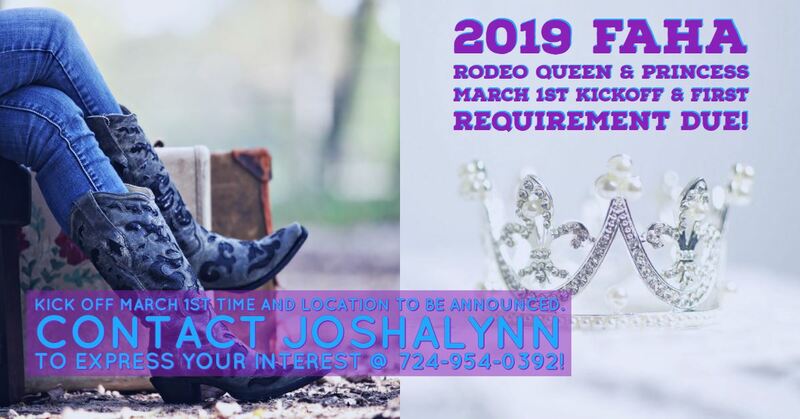 I am interested in participating in the 2019 FAHA Rodeo Queen contestant. Rule Book please click the link and read the rule book completely to understand requirements.